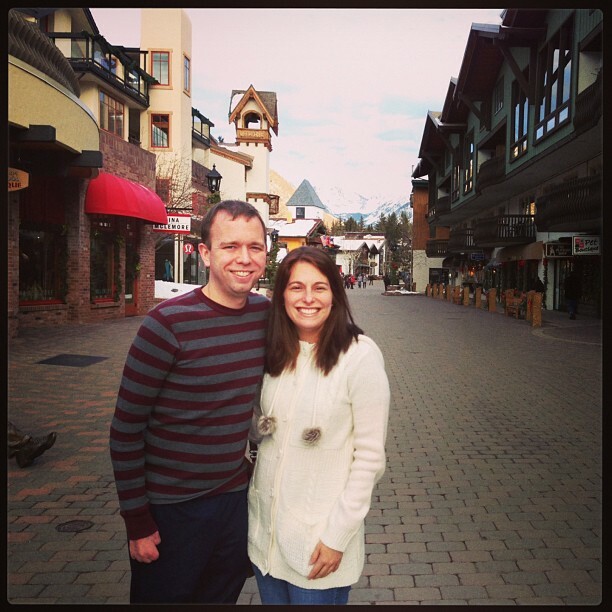 Ian and I went to Vail in February 2013. We had just celebrated our tenth anniversary the month before. Ian had recently started walking on his prosthetic legs. Although they were only temporary prosthetics, he decided to try skiing on them. 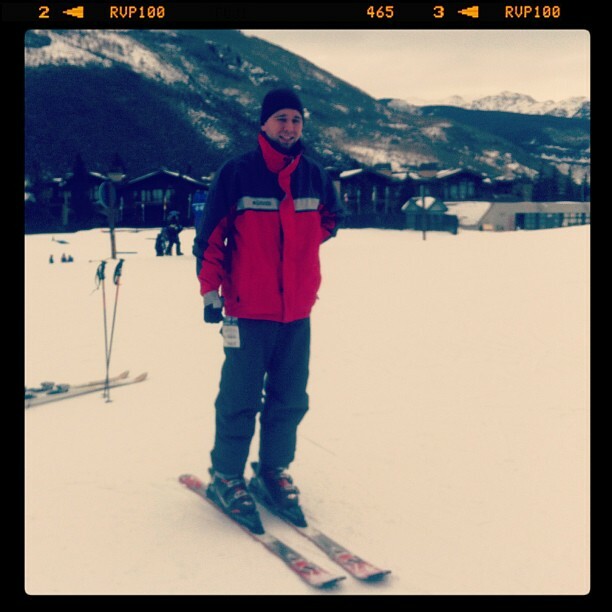 We signed him up for an adapted ski class and he rocked it! I’ll never forget Ian telling me how awesome it felt to ski down the bunny hill. He said he almost cried thinking about the fact that he was skiing again, on fake legs. It was an amazing experience. The photo on the right was taken in Vail the afternoon we arrived back in 2013. We were excited to finally be somewhere just the two of us after so much had happened in the previous year. TODAY, I’m meeting Ian in Vail for much needed rest. I’m grateful Ian had to be there for the work week and I get to meet him there for the next two days. And, of course, this would not be possible without my incredible friends that are taking care of my babies back home. THANK YOU! « 22. letter to my oldest son. What an amazing experience indeed! I can’t imagine what a HUGE dream that was for Ian…and for you! Cheering both of you on from here and have a GREAT weekend friend! Wow – what a story (from your about page) and what a blessing that you can see and know God’s hand in your lives. How cool that your hubby is doing things he loves And how very cool that the two of you get a 2 day getaway! Hurray for God and friends! Haha, rest. Clearly I need more of it.